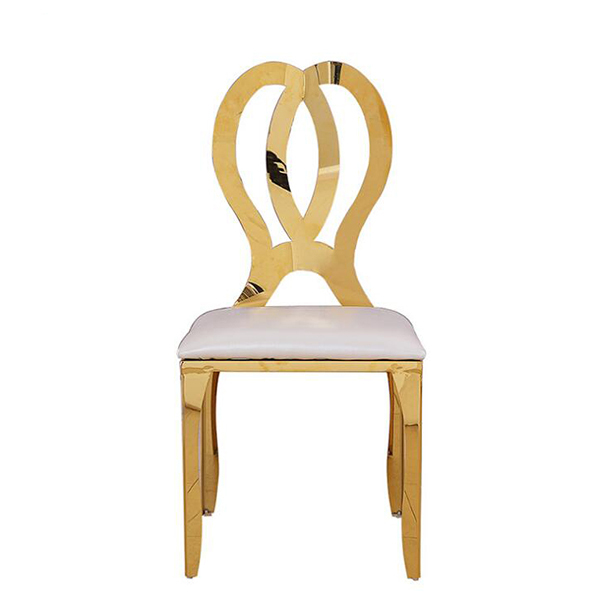 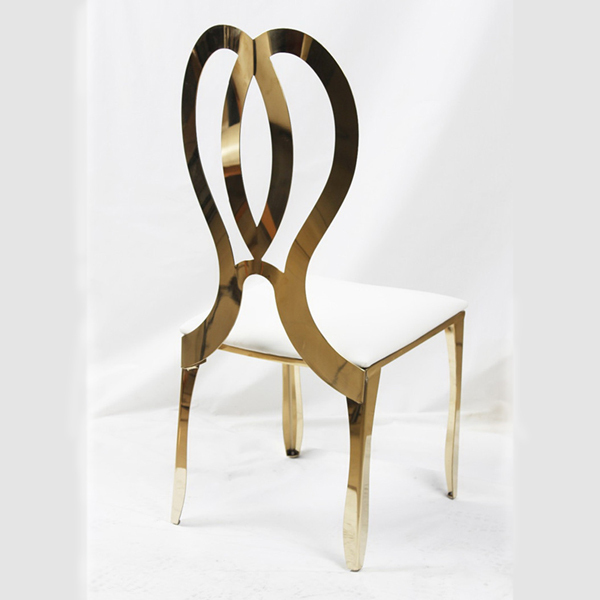 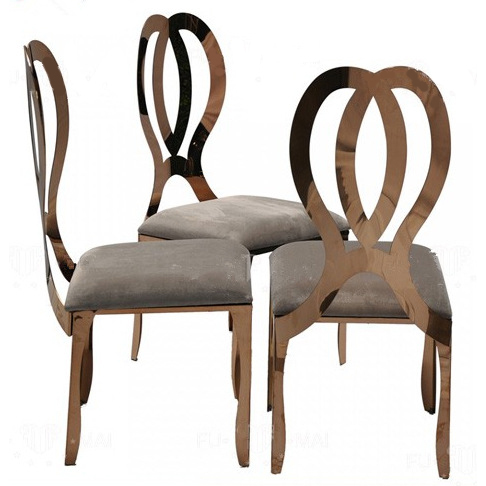 This heart-shaped stainless wedding chair is made from high quality stainless steel, with seat cushion made from high elastic sponge and fabric,there are different electroplating colors,such as stainless color itself,titanium gold color,rose gold color,champagne golden color,many choices for you. 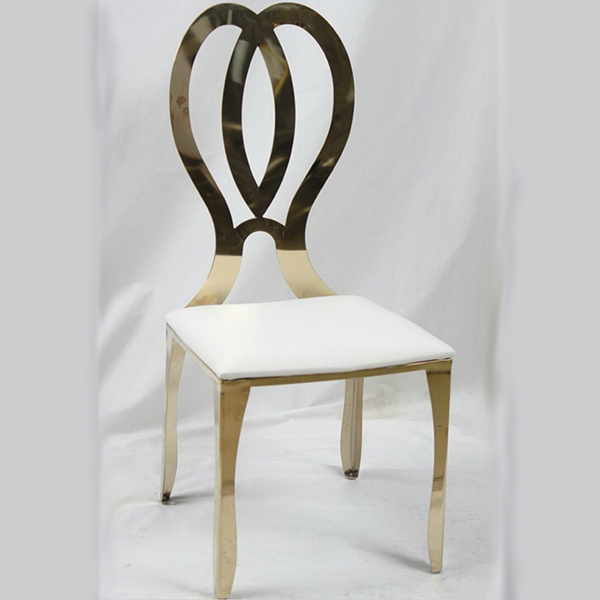 The stainless wediing chair is strong enough as it is whole stainless steel frame,but not heavy,besides,this chair can be stacked up to high,can save your stock room. 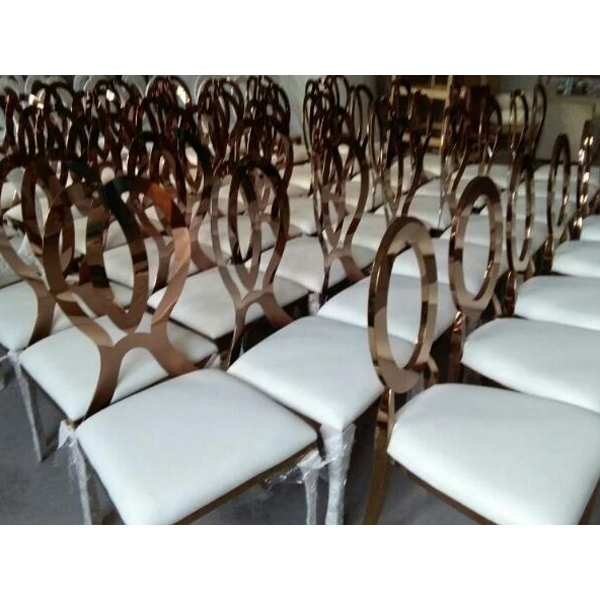 It is widely used in wedding location,as it’s above features,durable and easy to move,seat cushion can be replaced if broken.